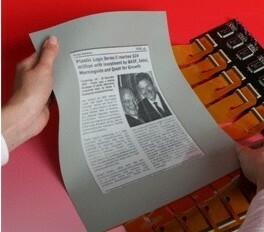 Plastics – or, more correctly, polymers have traditionally been used by the electronics industry as passive materials. Now however, new types of polymers have been discovered which behave as semiconductors. For example, they can emit light when subjected to an electric current, or can be used to make transistors.